In motorsport money matters, and that’s why pretty much every racing car you see is wearing the livery of a sponsor. However, some of these technicolour beauties come to represent far more than a marketing exercise and become intertwined with motorsport itself. Here are our top 10 historic racing liveries of all time. In motorsport, money matters, and that’s why pretty much every racing car you see is wearing the livery of a sponsor. However, some of these technicolor beauties come to represent far more than a marketing exercise, and become intertwined with motorsport itself. Here are our picks for the top 10 historic racing liveries of all time. The Martini Racing stripe is one of the most instantly recognizable liveries in history. 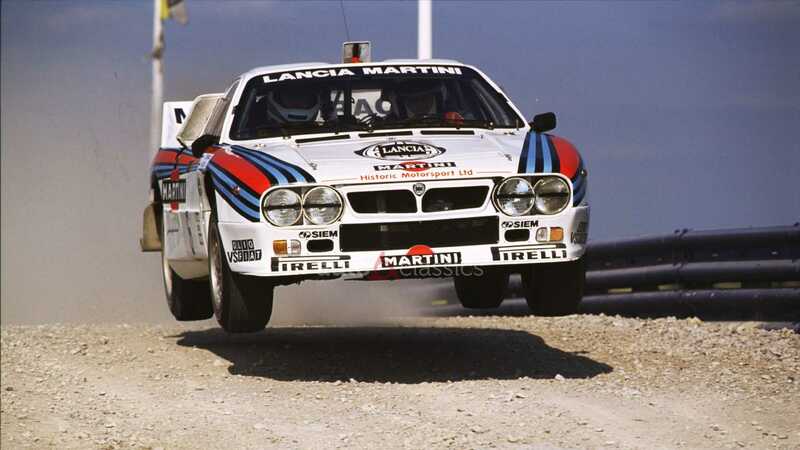 The dark blue, light blue, and red stripe has been seen in motorsport since 1958 when Count Metello Rossi di Montelera, of Martini & Rossi, founded the Martini International Club. These colors have been sported by everything from fire-breathing Group B rally cars and Formula 1 machines, to Le Mans endurance racers. Porsche developed a prominent affiliation with Martini over the years that continues to this day. Arguably one of the most handsome paint schemes of any racing car, the Rothmans livery comes from the era of tobacco advertising in motorsport, which is now banned. The royal blue, white, and gold cars were distinctive without the need for in-your-face day-glow colors seen today. A key sponsor of the Williams Formula 1 team during the early 1990s, the livery is probably most famous for being draped over the 1982 Le Mans 24 Hours winning Porsche 956 of famed racing drivers Jacky Ickx and Derek Bell. 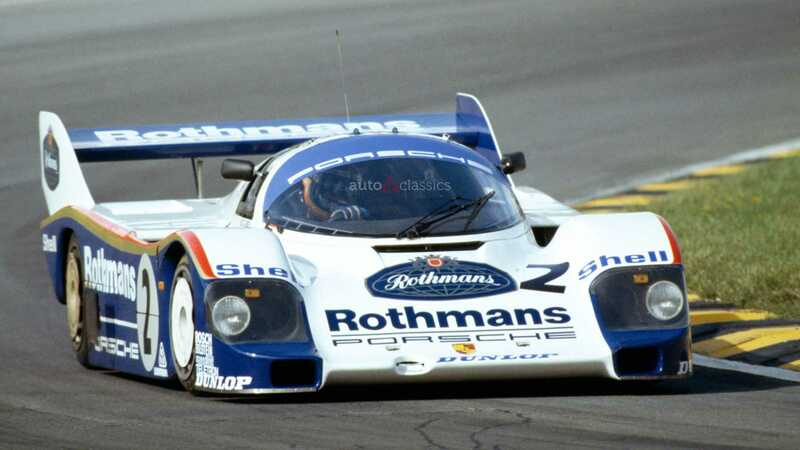 Porsche finished locked-out the podium with a trio of Rothmans cars that year. Cigarettes are bad for your health, but Rothmans knew how to make a racing car look classy. Today the Gulf Racing colors are part of popular culture and appear in many places outside of motorsport — you can actually buy a Gulf Racing refrigerator. 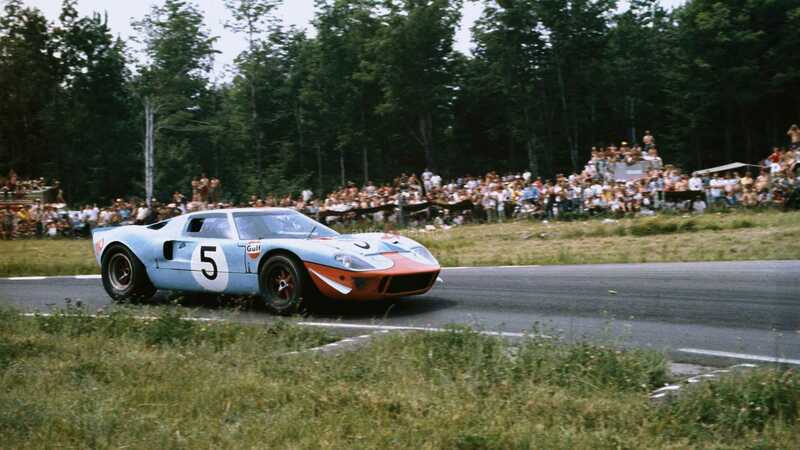 However, the combination of blue and orange was first seen when vice president of Gulf Oil, Grady Davis, took his own Ford GT40 racing. Gulf ended up running its own racing team of Ford GT40s sporting the iconic livery. The vivid racing cars won the famed Le Mans 24 Hour in 1968 and 1969. 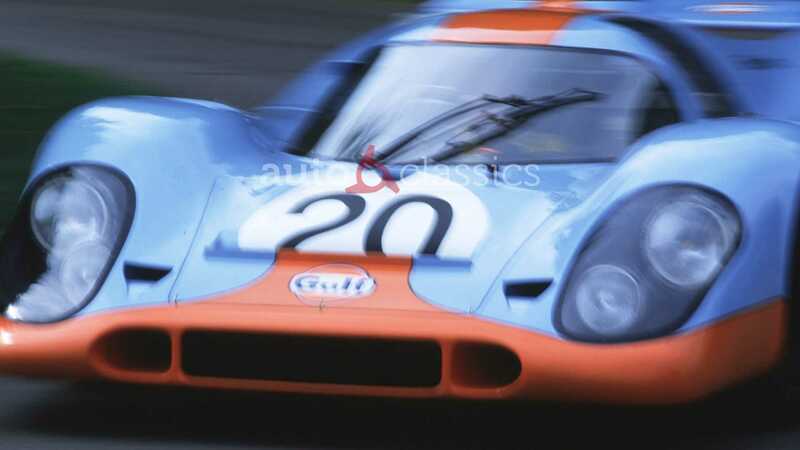 Gulf Racing went on to sponsor numerous teams over the years, including Aston Martin and Porsche. The Gulf colors were also immortalized on the big screen in the 1971 movie Le Mans that saw Steve McQueen pilot a Porsche 917. Porsche and French company, SERA, was working on a racing project together that aimed to crossbreed a Porsche 917 short and long tail. The 917/20 that resulted was something of a Frankenstein creation that featured very round wheel arches and a disproportionately wide body. Many engineers referred to it as ‘The Pig’. Porsche designer Anatole Lapine decided to embrace the pig-like visuals of the 917/20, and created a livery similar to that of a butcher's diagram. Different cuts of meat were labeled, and the overall car was painted pink. While the car proved fastest during practice at Le Mans 1971, the car crashed during the race itself. 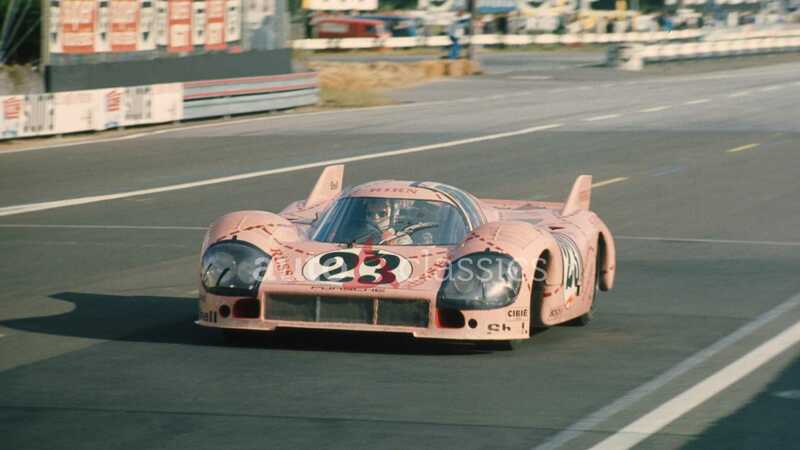 The ‘Pink Pig’ livery would return on a retro Porsche 911 RSR for Le Mans during 2018. Famously attached to the Jaguar XJRs of the World Sportscar Championship, the Silk Cut colors are another majestic contribution from the era of cigarette sponsorship. The purple cars were a familiar sight during the late 1980s and early 1990s. 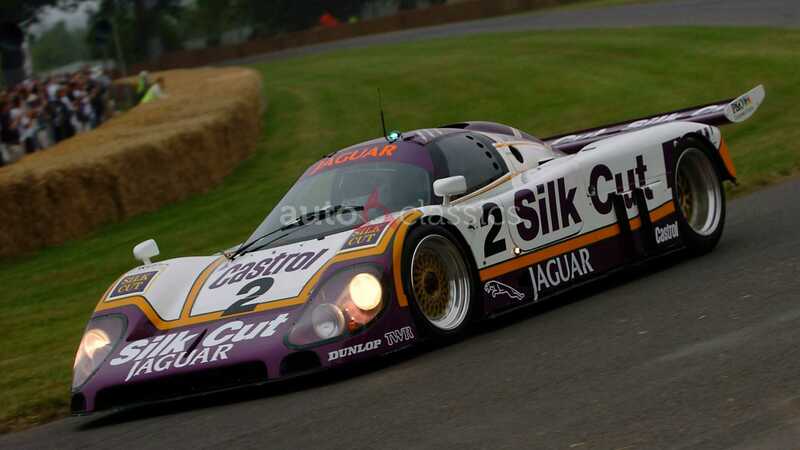 A Silk Cut Jaguar XJR-9 won the Le Mans 24 Hours in 1988 with a XJR-12 doing the same in 1990. 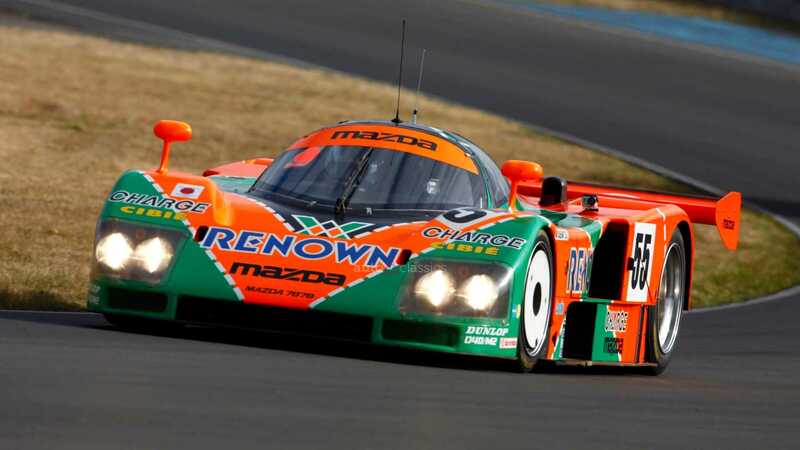 One car immortalized the quirky green and orange of Renown… The 1991 Le Mans winning Mazda 787B with its unique rotary racing engine. This high-revving racer wasn’t the fastest car over one lap, but its design enabled unrivaled reliability. The Mazda 787B remains the only car to win the Le Mans 24 Hours race without a reciprocating engine. A staple of rally and Japanese motorsport fans, the now world-famous racing colours of Castrol have been attached to many racing legends from multiple disciplines. 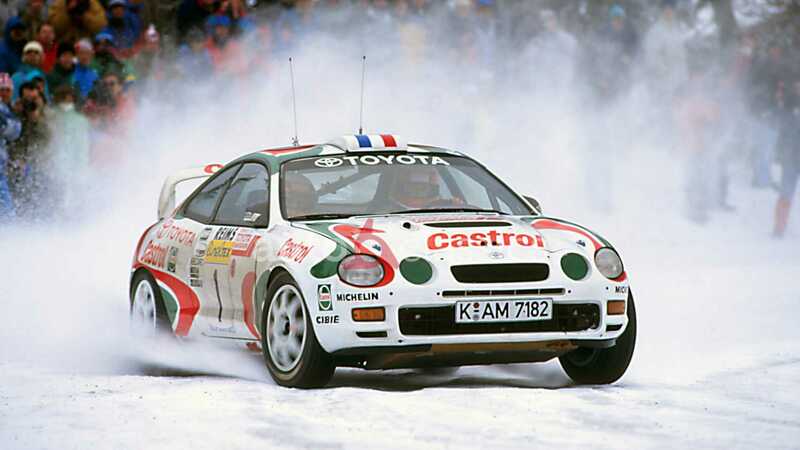 However, the most enduring has to be the Toyota Celica GT-Four WRC of which every petrolhead instantly recognizes. The Gran Turismo series of Playstation fame also introduced the livery to a younger generation of racers, thanks to the Toyota Supra Super GT earned in-game. Imitated by many over the years, the John Player Special colors are something of an institution in motorsport. 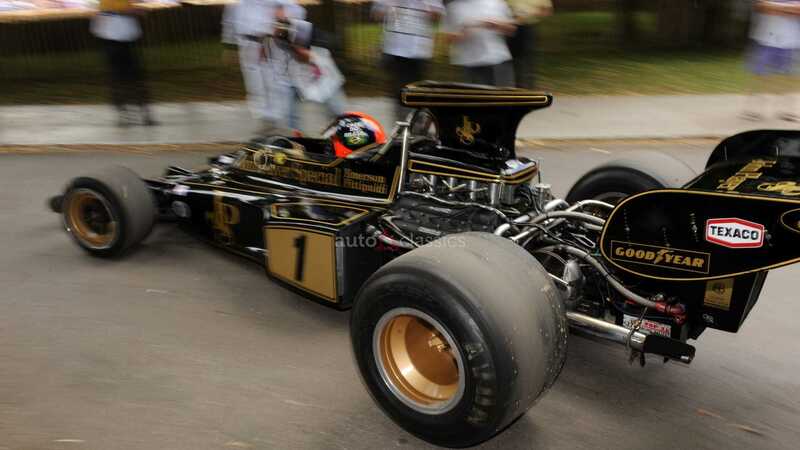 John Player’s association with Lotus began back in 1968 with the red and white Gold Leaf color scheme, but it was the JPS ‘black and gold’ of 1972 that really captured the imagination. Is there anything cooler than seeing a Lotus 72 fly through the streets of Monaco? We don’t think so. Another livery predominately defined by one vehicle - in this case, the legendary Lancia Stratos. There was just something about those patriotic Italian colors and the angular rally car that synced perfectly. 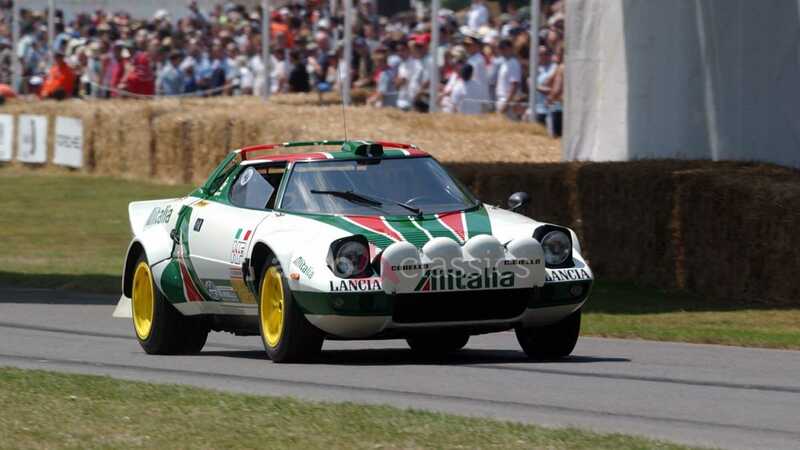 The Stratos did wear other notable liveries, but of the three WRC championship victories this car scored, the majority were delivered in Alitalia colors. 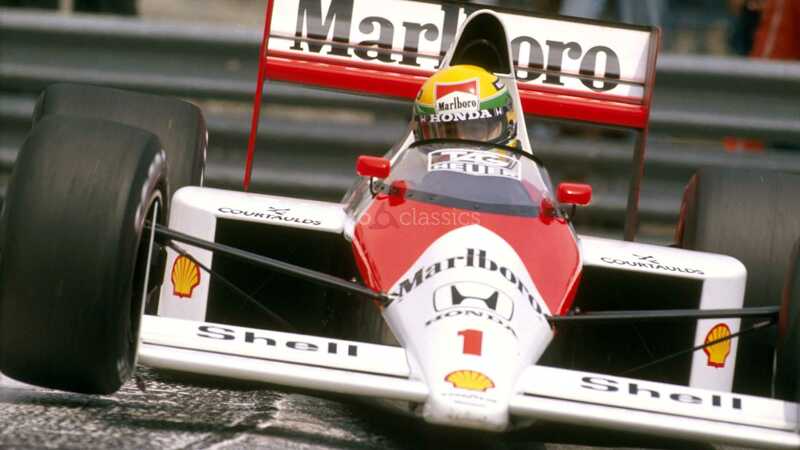 Marlboro was proactive in the world of motorsport sponsorship, but its connection with McLaren is what made the colors truly memorable. It was McLaren boss, Ron Dennis, that sealed the deal on the pair coming together with the red and white scheme, first appearing on the revolutionary McLaren MP4/1 of 1981. The most famous car to ever sport Marlboro sponsorship has to be the McLaren MP4/4. Repeatedly claimed to be the most successful racing car of all time, Ayrton Senna and Alan Prost piloted it to win 15 out of 16 races in 1988.